15 Unique Pillowcases and Creative Pillowcase Designs - Part 2. 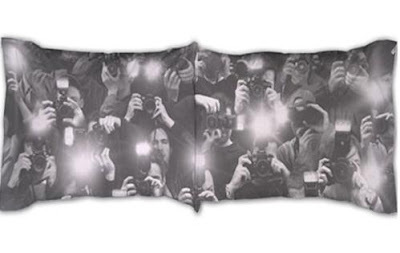 If you are tired of boring pillow cases, we have got something for you! This cool collection of pillowcases will bring a creative and playful alternative to your bedroom décor! 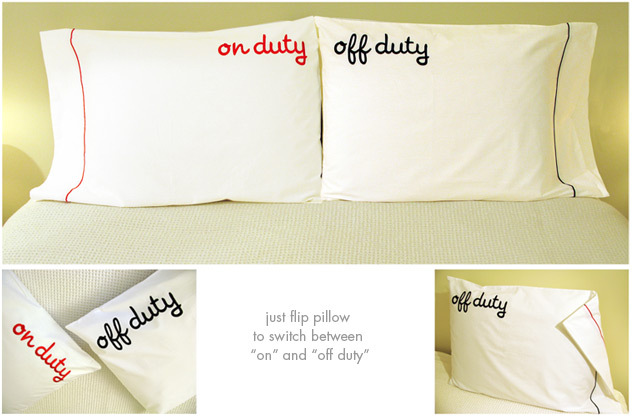 On Duty, Off Duty Pillow Cases: These pillowcases are embroidered with "On Duty" on one side, and "Off Duty" on the other. 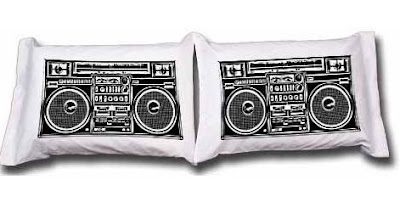 These would make a cool gift for new parents. 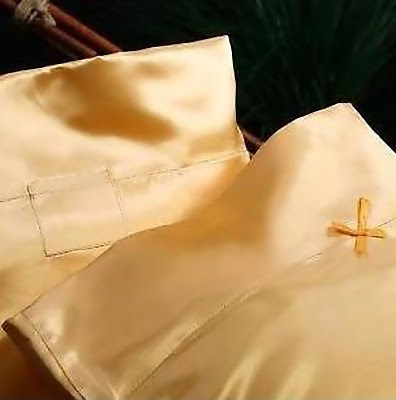 His and Hers Satin Pillowcases: 'Her' pillowcase is finished with a dainty bow; 'His' has a discrete pocket. Yes/No Pillow Cases: Here's a really subtle way of getting your message across; these pillow cases come in set of two, both say 'yes' on one side and 'no' on the other. 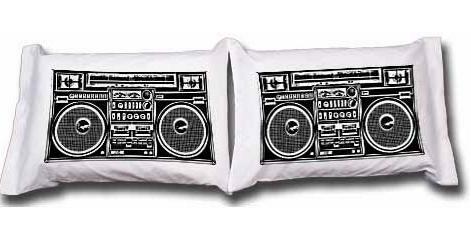 Boombox Pillowcases: These are a pair of standard sized white pillow cases with a black boombox design on them. 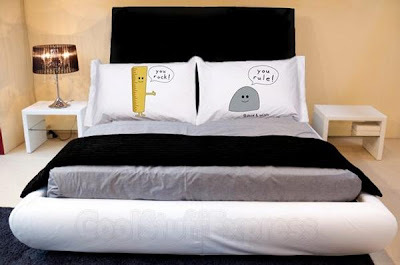 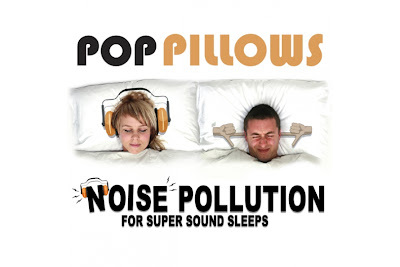 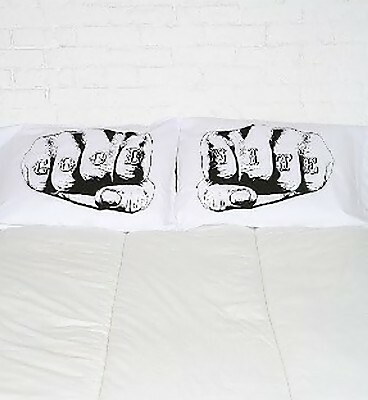 Nice Shades Pillowcase Set: These cool pillowcase shows off your cool style even while you sleep. 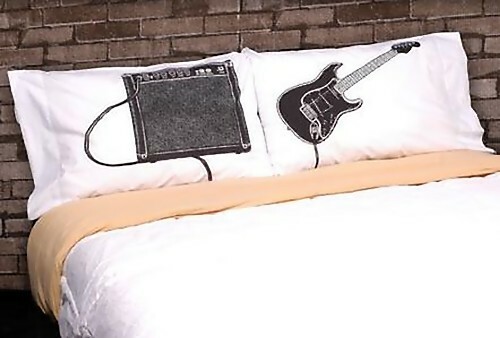 You Rock & You Rule Cool Pillowcases: These pillowcases are sure to add fun to your nights. 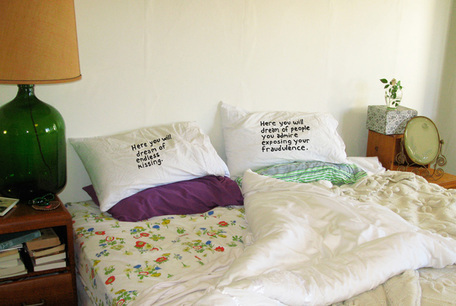 Miranda July Pillowcase Set: Cool pillowcases by Miranda July. 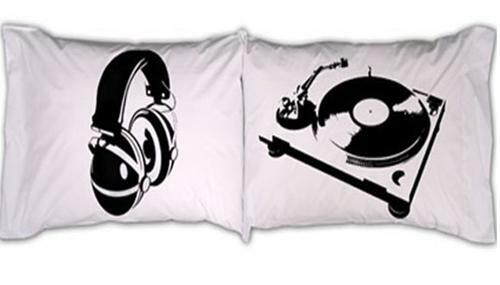 Mixtaped Pillow Cases: Can't go to bed without music? 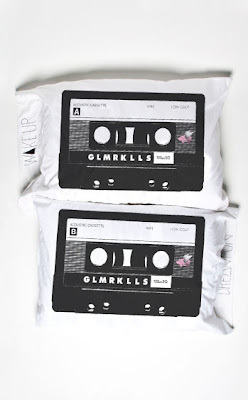 This is for you, a huge cassette tape printed onto a 20 x 32 inch, 55% cotton and 45% polyester, 180 thread count pillowcases. 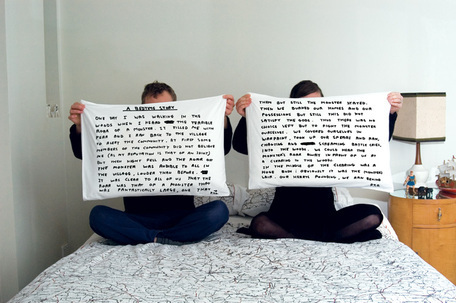 Bedtime Story Pillowcases: Cool pillowcases from Third Drawer Down. 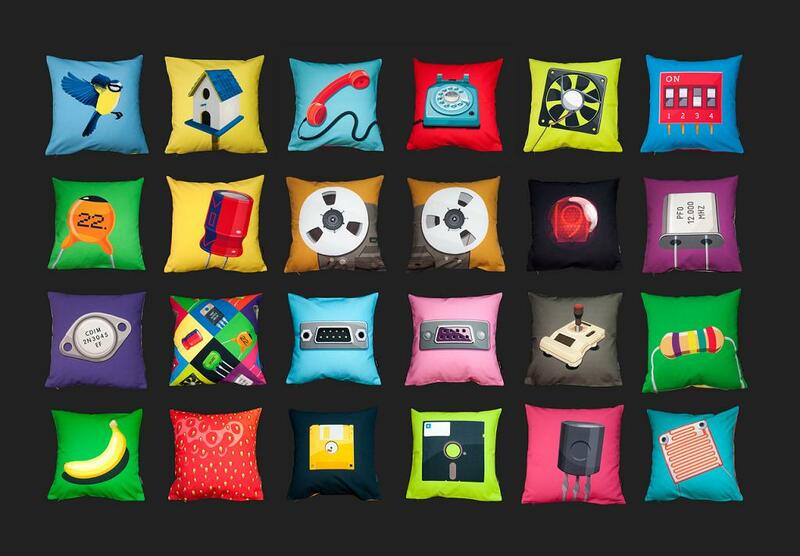 Pillow Covers by Happy Covers: Happy Covers is a project by Atelier Kurth in Luxembourg, Europe. 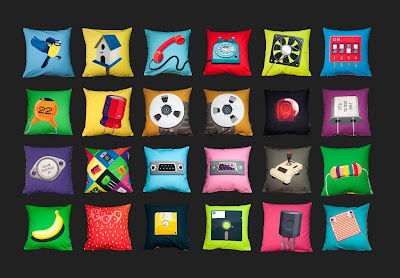 The pillow covers are decorated with illustrations of electronic components and computer stuff. Don't miss to check out "Unique Pillowcases and Creative Pillowcase Designs - Part: 1| 2."